Volkswagen is planning to serve congested cities with an on-demand public transport service operating under the new Moia brand. The German car manufacturer unveiled the new brand at the TechCrunch disrupt conference today (5 December). Moia will initially offer ride-hailing services to "complement" existing public transport services. According to TechCrunch, users will be able to hail electric Moia shuttles from an app and board from a designated pick-up point. The concept is less Uber and more on-demand bus: where a user is the only person on board, Moia may outsource the journey to Gett, the Uber rival acquired by VW in May. Moia will be testing the concept in two German cities in 2017. The goal is to build on-demand transport that rivals public transport on cost, resulting in a projected €2bn (£1.68bn) in revenue for Moia by the end of the decade. Eventually, Moia will move into other areas of transport with an eye to easing urban congestion and generating revenue as car ownership declines. European new car registrations fell by 0.5% year-on-year in November, according to Jato data. 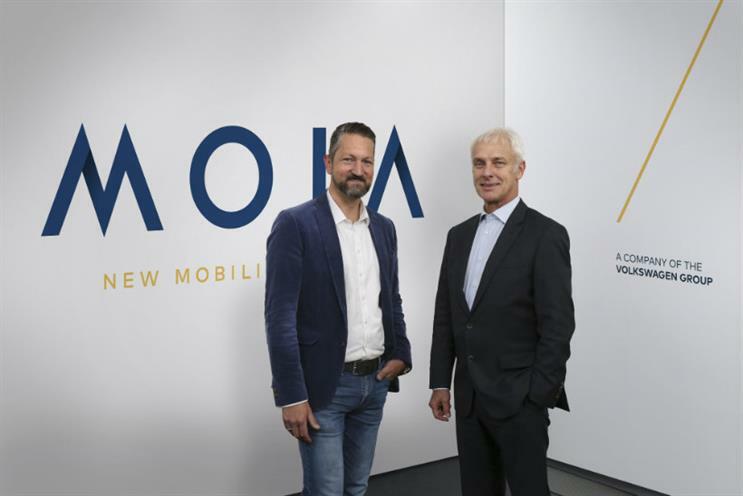 The Moia brand will operate as a standalone company headquartered in Berlin, and is overseen by VW veteran Ole Harms. "Our sights are set on becoming one of the global top players for mobility services in the medium term. To achieve that we will be seeking to attract the best minds and technology start-ups," said Harms.